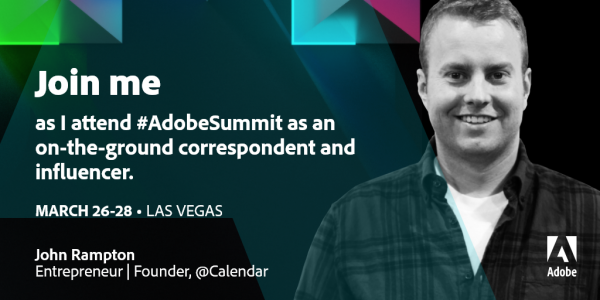 I’m excited to join 64 other influencers this year as a 2019 Adobe Summit Insider at the Adobe Summit to be held March 24th through March 28th in Las Vegas, Nevada. The Adobe Summit is an ideal conference to attend if you are part of the digital marketing community. To deliver the most comprehensive experience for attendees, Adobe has regularly included leaders and visionaries from across industries and the digital marketing community to provide extensive coverage throughout the Summit. The group of Summit Insiders also features major media correspondents, journalists, and tech pioneers. Some of these Summit Insiders include Cynthia Johnson, Co-Founder/CEO of Bell + Ivy as well as an entrepreneur, keynote speaker; and author; Jay Baer, a noted public speaker and a digital business celebrity; John Hall, Co-Founder of Calendar and Influence and Co.; and Sarah Evans, digital correspondent and consultant. After participating in many keynotes and panel discussions across numerous industry conferences, I’m excited to serve as an on-the-ground correspondent. It gives me an opportunity to meet more of those I admire within the digital marketing landscape. I’ll also get to ask them some compelling questions about issues that impact all of us as we evolve along with digital marketing. I’ll be able to provide you with unparalleled access and insight during all of the keynotes and sessions– not to mention the parties — as well as broadcast from the new Adobe Broadcast Center they are introducing this year. Join me at the Adobe Summit or follow along through the Summit Online experience.